Make your summer break one to remember and discover the vibrancy and character of life beyond London! We would never suggest that you overlook London on your trip to England this summer, but it's worth remembering that there’s so much more to England than the hustle and bustle of the capital. Make your summer break one to remember and discover the vibrancy and character of life beyond London! Explore the quintessential English countryside in the Cotswolds while visiting the stunning Georgian city of Bath. Pretend you've stepped back in time to Regency England and explore the setting and inspiration behind many of Jane Austen's novels. Take in the grandeur of the architecture, while navigating the narrow streets filled with independent, artisan stores. Sample the incredible restaurants and pubs serving up real ale and live music. If this isn’t enough to tempt you; perhaps a relaxing stay at the Thermae Bath Spa will? Combine with a tour of the historical Roman Baths for an impressive comparison of old and new! 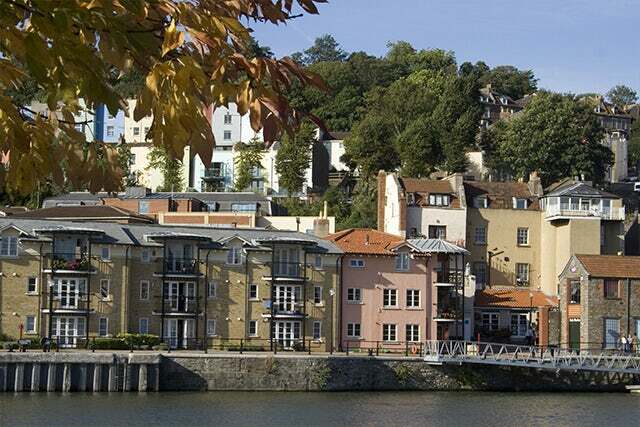 Bath’s edgier big sister, Bristol, is just a short ride away by train – easily accessible as a day trip if you chose to visit the West Country this summer. The city has a great arts scene; take a trip to one of the many galleries and enjoy a walking tour of the street art, including work by Banksy. Enjoy the revelry at one of the many festivals held throughout the summer, which sees the whole city come alive with music, art and performances. Alternatively, take a lazy boat trip from the harbour and visit the Clifton Suspension Bridge to marvel at Brunel’s engineering. There’s always something going on in Bristol, and with easy access to Wales – not to mention budget flights to Europe - it makes for an interesting base for your trip. Dubbed as Europe’s Capital of Culture in 2008, Liverpool is thriving with galleries, theatres, shopping and musical heritage. The UNESCO World Heritage waterfront is the perfect place to while away an afternoon and the city makes for a great alternative to London for visitors seeking out a slice of history in their trip. You can’t mention Liverpool without the Beatles and there are sights all around the city from Penny Lane to Paul McCartney’s childhood home, the legendary Cavern Club, and the Beatles Story museum on Albert Dock. Torquay, Brixham and Paignton make up the English Riviera – an area of England that boasts beautiful beaches and sleepy fishing villages, as well as attracting the adrenaline junkies with kite surfing, sea kayaking, two National Parks, cycling, hill climbing and horseback riding. There are lots of budget and kid-friendly accommodation options, from campsites and caravans to B&B’s and 5 star hotels. There’s something for everyone, which explains why it is such a popular holiday destination for British families.